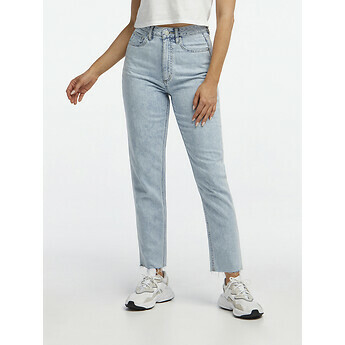 The perfect 'mom' jean, it's a high rise fitting jean. Sitting high on the waist, it features a relaxed tapered leg, destruction detail and cropped leg length. Finished in the very popular light weight vintage inspired Air Denim fabrication - it's like wearing nothing at all.